When I was a kid, my grandma told me my first ghost story. Maybe this doesn’t sound like such a big deal, but my grandma doesn’t like ghost stories. She doesn’t believe in them, she doesn’t tell them, they just “aren’t her cup of tea” as she’d tell me. On the way out of Ottawa, Canada, there is a small suburb called Manotick. I’ve been there myself countless times growing up. It was where the best dancewear store was, so my mom would take me to buy all of my clothes and shoes. It’s where my mom rushed me to practice from school every day for the two years I was in the Nutcracker. It’s where my mom took me and my grandma for Sunday afternoon lunches when I was a kid. 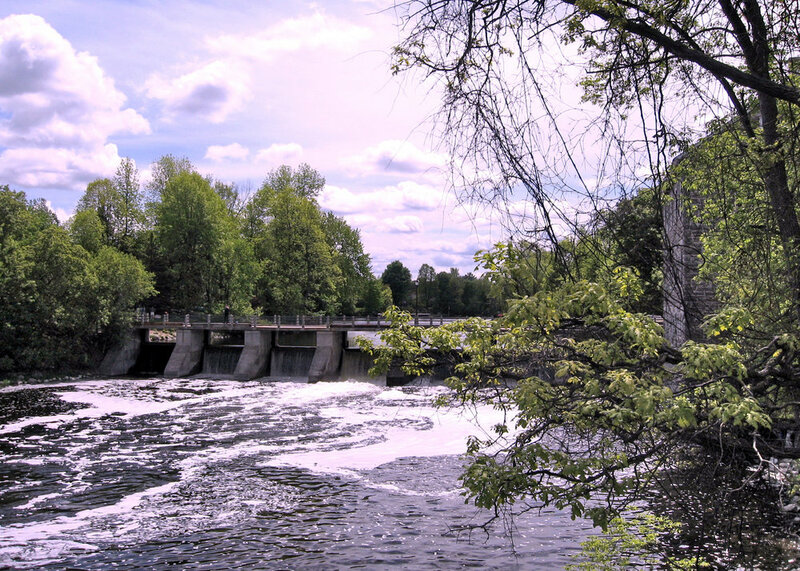 It’s a peaceful, sleepy little town, with cute shops and beautiful scenery, The Rideau River runs right through. But in the very heart of this peaceful, sleepy little suburb, it’s also where Watson’s Mill stands. Watson’s Mill is not in itself a problem. It was opened in 1860, by Joseph Merrill Currier and Moss Kent Dickinson. They had obtained the water rights to the property just a year previous, and in fact, it’s Dickinson who’s said to have named Manotick in the first place, after the Ojibwa word for ‘long island’ or ‘island in the water’. It was a powerful mill; according to Rideau-info.com, it “was capable of producing 100 barrels of flour a day and the sawmill could cut up to two million board feet per year.” The problem in this story was a combination of things. In 1861, on the one year anniversary of the mill’s opening, Joseph Currier brought his new bride, Anne Crosby Currier, in for a tour. They made it all the way up to the attic, while Joseph pointed out all the machinery and inner-workings of the mill to his beloved bride. On their way back down, however, tragedy struck. Anne was dressed in a flowing dress with a hooped skirt that allowed the dress to drag behind her. It was no doubt a beautiful dress, but an unfortunately disastrous choice to wear inside the mill. On their way back down from the attic, between the third and second floor, a part of Anne’s dress got caught in one of the Mill’s rotating shafts. The rotating shafts moved too quickly for her to realize in time to pull herself free, and she was yanked against a pillar, dying on impact. Joseph was so heartbroken that when he left the mill that day, he never looked back. He sold his shares to his partner, and never again returned. Anne, on the other hand, never left. Over the years, many have reported seeing and hearing things that had no explanation while wandering in and around the Mill. 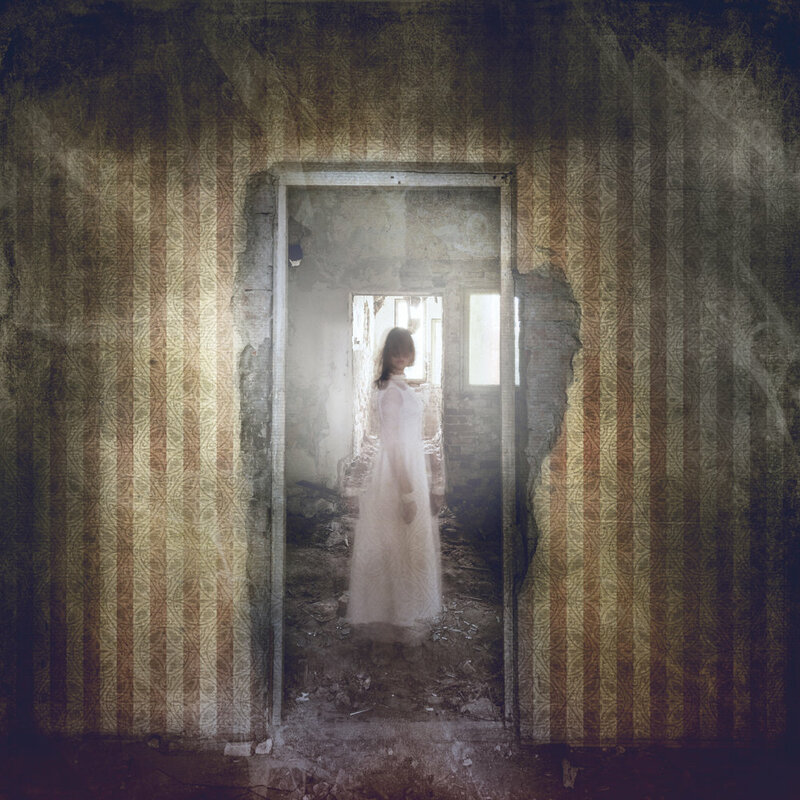 Some reported seeing a woman peering out of a second-floor window, while others swore they heard light footsteps creaking across the upstairs floorboards, even when there was no one up there to make them. What’s more, some visitors to the Mill even report being grabbed or shoved while walking around the upper floors. Many believe it to be Anne, likely trying to warn them away from the same fate she suffered.